I’ve got a free gift for you this month. 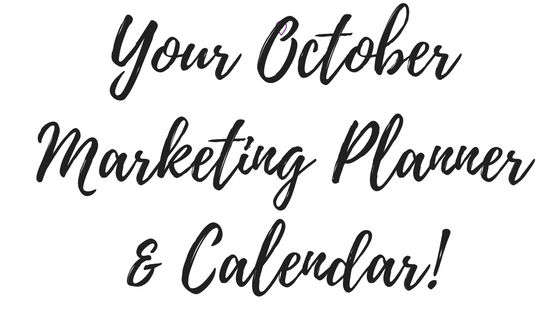 A marketing calendar that tells you exactly what to do and when to do it. No opt in required…just click the link below and get going. Alsoooo, I’m planning on doing a series of workshops for the month of Oct. so make sure to join the next level squad to get access to my free trainings. Click here to join my free mastermind and say ello!